ALL SEASONS: Featuring an exclusive temperature-control panel that easily zips-up for baby's warmth and zips-down to expose cool, breathable, 3D mesh. 100% cotton, lightweight and machine washable. 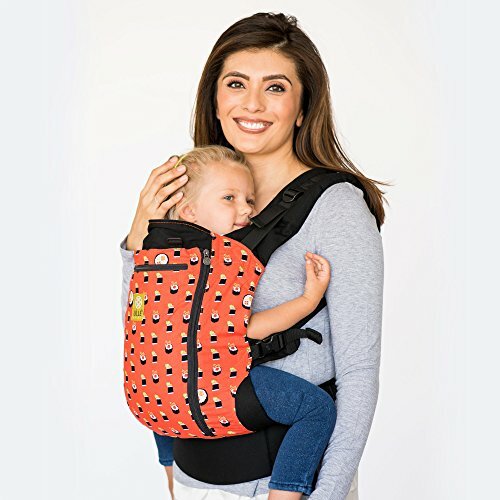 VERSATILE: The CarryOn features a wider and taller torso than most baby carriers, making it possibly the most versatile toddler carrier on the market. Perfect for older kids or siblings who still want to ride.